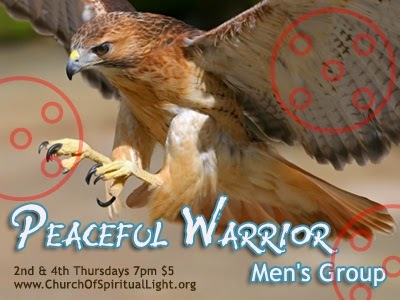 The Peaceful Warrior Men's Group was created to provide a safe and sacred atmosphere, where men can share their lives and be witnesses to each other's lives in brotherhood. It is where stories are told and where men can find rest, support and kinship. Becoming a part of a Men’s Group can help men receive the support that is unique to men at this time in history, and restore a sense of community that is necessary for personal and spiritual growth, not just as men, but as human beings. This group is designed to take you and your brothers back to a seat at the ancient circle of men. Come and experience this sacred healing sanctuary open house with your Healing Angels, Divine Healing Doctors, and Spirit Guides. Release all your burdens, worry, and negative energy and let the Healing Light flow to you, cleansing and purifying your physical, mental, emotional, and spiritual bodies. You might also receive messages during your healing session. Please wear white or light color clothing. This event is open and free to the public. We are opening the doors of our healing sanctuary to all on this day. Church of Spiritual Light has been the curators and keepers of this sacred space since 2008. In that time we have fostered, welcomed and entertained a great deal of healing energies, Masters of Light, Angelic beings, metaphysical healers both seen and unseen, and energy workers. All has been tended with the deepest devotion to bringing in a focused and powerfully charged way, extra-ordinary opportunities for healing and enlightenment. 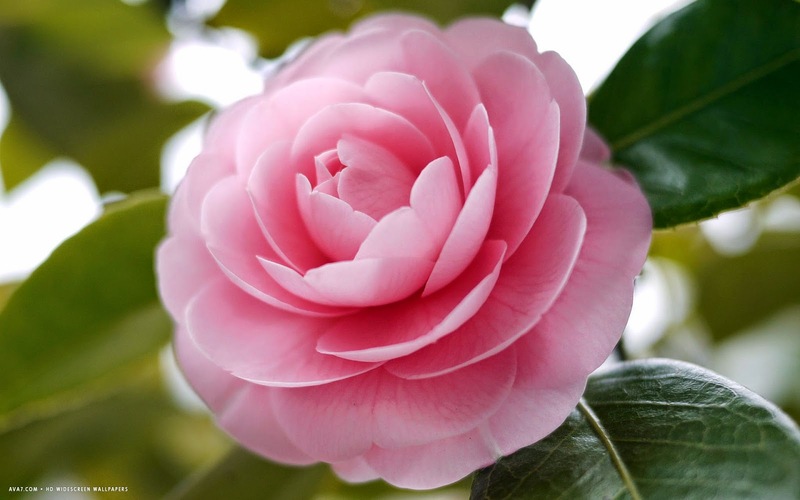 All miracles come from within first... and then begin to spread outward. The miracle of Church of Spiritual Light is now overflowing to you! 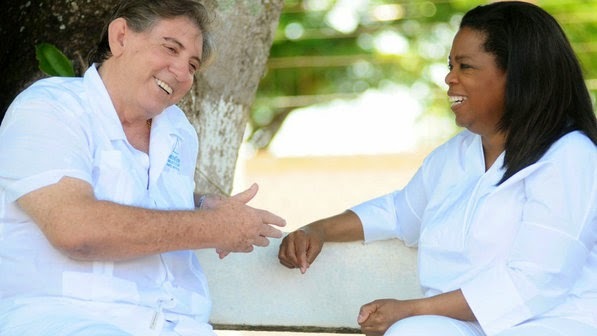 We have joined forces, and are sanctioned and approved keepers of the John of God Crystal Healing Bed, which true to the Law of Attraction, has only served to augment and further galvanize the spiritual currents and healing beings that have always been available at CoSL. 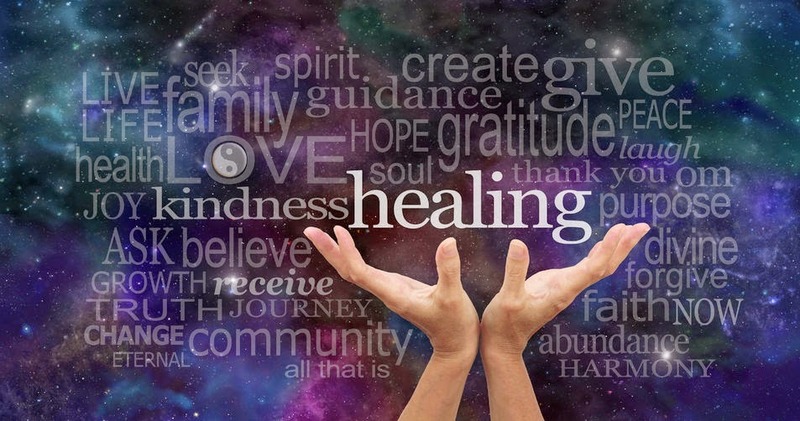 During the Healing Sanctuary Open House mediums will be in service, holding space and allowing for an increase in the spiritual powers that are available in the space for the purposes of this special event. Just being in the space will present opportunities for healing, peace and renewal of the body-mind-spirit-soul connection. Throughout the meditation, one of our attendants may be guided to give an individual the instruction to receive a short session on the JOG Crystal Healing Bed. This will be done strictly as guided by Spirit and the healing entities , on an as needed basis (there is no charge on this day). Jesus, Isis, Buddha, Kwan Yin and Krishna, John of God, Sai Maa, Nicholas Black Elk, Dwjal Khul, Mikao Usui, Marcel Vogel, St. Ignatius, St. Rita, Mother Mary, Mary Magdelene, White Buffalo Calf Woman, St. Germain and Archangels Michael, Raphael, Gabriel and Uriel, Seraphim...among others. Click here to learn more about the John of God Crystal Healing Bed. This event is facilitated by Rev. Renee Bledsoe and Melissa Leblanc. 1) Do I need to RSVP and what is the cost? No need to RSVP, and there is no charge for the event or for the JOG healing bed on that day. 2) Do I need to wear white and why? It is important that you wear white comfortable clothing. 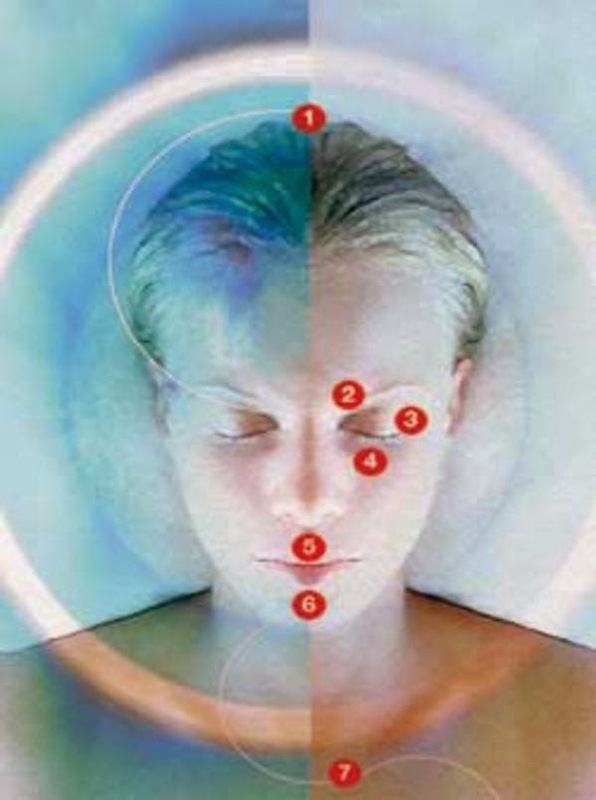 The healing entities see our energy body, and this assists that process. 3) Do I have to stay the whole time? No you do not need to stay the whole time, and can come in anytime from 3-7pm. 4) Will everyone get a session on the John of God bed? Everyone will not receive a session on the bed during this event. The facilitators will be spiritually guided as to whom needs a session on the bed at that time. It is our firm intention that you will receive exactly what you NEED on that day for your highest good. 5) What might I experience? Greater mind, body, spirit connection. Love from above, and the realization that there are higher forms and expressions of love than what we may be able to imagine or interpret is one of the main keys to opening the door to a relationship with our Higher Selves. So often we do not have the eyes to see higher love, and therefore we cannot experience our Higher Self. Because true love does not just entail rainbows and butterflies... and a non-stop stream of yesses. True love often will say no, just as easily as it will say yes. But Love from above always has a bigger yes... and that bigger yes is always in service to the greater work of connecting us with our own soul. Love from above is multi-tierd. To over simplify right within our own energy field and metaphysical structure, to whatever extent we can hear them is what some might call Mother/Father God. We might also think of them as our divine parents... our own inner Divine Feminine and Masculine principle. One thing is for sure... just as surely as a parent might be in a position to draw limits, so too will the Mother/Father God within. One could say that our own parents or parental figures in general are outwardly appearing manifestations of this inner parental system. These "parents" show us what it looks like to impose limits on our behavior, not merely for the sake of saying no... but to foster in us the ability to listen to another voice... and ultimately allow us to connect with and listen to the Light of our own Soul or our Higher Self... so that we can get our bigger yes. This is what allows us to form our boundaries and individuated selves from a place of love. As we integrate these two inner parents, a synergy happens... and a child is created, which is not just a simple combination or compromise of the two... but a unique individual that was synthesized from this mutual respect of these two divine lovers. For this is what allows us all to become more whole brained functioning, and able to synthesis information in a way that is more holistic, able to take into consideration the bigger picture... able to delay gratification... able to say no or yes... whatever is most appropriate at the time... able to connect with our Higher Self... and our own Soul. In other words, this is a heirarchy, and just as in real life... there is no child without parents... so too, is it impossible to connect and reveal the soul without establishing communication and a working relationship between the Mother/Father God within. 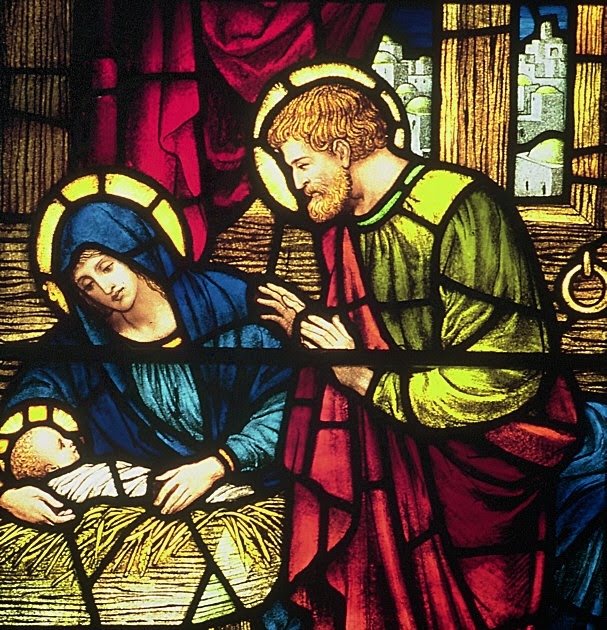 Quite simply this is the main thrust of the Christmas story. May your find your relationship with your inner divine feminine and masculine growing ever closer and clearer. May you learn to re-parent yourself. and allow yourself the ability to begin to develop the Light of your own soul... for that is the babe being born within you as you become that Love from Above. I am open to receiving guidance and direction from my higher self. I am a being of light expressing love in the manifested world. I create a world of beauty. I give my soul expression. I am always creating through the loving intentions of my higher wisdom. I deepen and strengthen my connection with the indwelling Spirit. My love is my light. I experience love in new ways. I see the perfection of my path. I am guided to my highest good through the process of life itself. I am the intention of a loving creationary force for good. I am the fulfillment of the desire for life. I work with the cardinal directions for protection and creation. I plant the seeds of realization for my highest good within my heart. I awaken to my bliss. I follow the pull of my grandest desires. I trust that my joy will bring joy to the world. I am a portal of light and I enlighten the world. I call upon beings of light and angelic forces to guide and guard me. I am created in the image of the Master of Light. I shine my light on this earth, so that others may find their True North. I merge with my higher self. 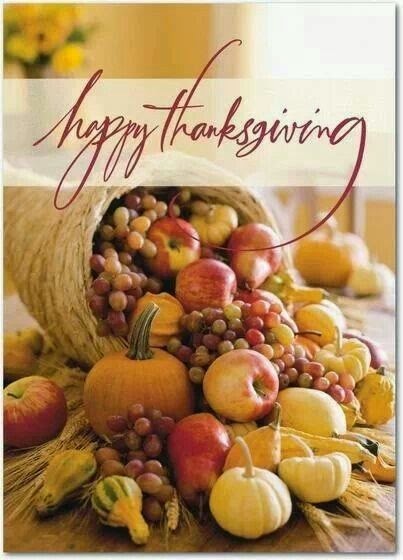 Church of Spiritual Light presents the 2014 Sixth Annual Thanksgiving Feast and Giveaway Ceremony. Please bring your favorite holiday dish to share, as well as a small gift which will be given away to honor a very special sacred ancient ritual to show gratitude for our blessings. 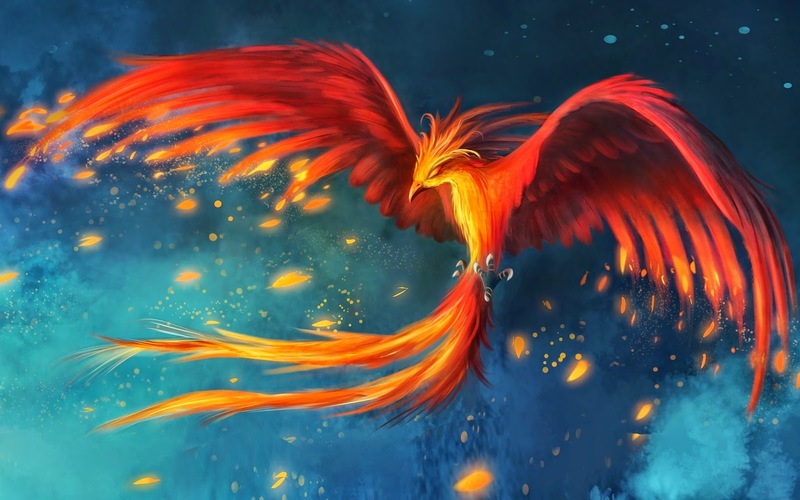 The gift can be anything that has meaning to you, including feathers, stones, figurines or sacred objects. In order to honor the energy it should be something that you love and not a cast off item. Help us coordinate our feast and call Rev. Renee at 239-560-6314 or facebook message. Everyone is welcome! NOVEMBER 2014: If Not You... then Who? Every person who is able to bring in the light of their soul is a portal of power to the earth, to each other, and to the cosmos. Yet, in the course of a spiritual journey there can be quite an extended period of going within. The soul is like a butterfly, as it goes through the various stages of evolution... from egg, to caterpillar, to chrysalis to full grown butterfly. Some say that the butterfly looks nothing like it began. But that's not entirely true. A butterfly still has a tubular body... but it becomes streamlined.... and has legs... and antenna... and most especially WINGS! So what does that mean to a soul. Well, quite clearly it's a teaching... the soul's emergence heralds a streamlined and drastically changed alchemized body, at the cellular level. The imaginal cells in the body evolve us through a deeply internal, and therefore unseen to the external world, process. But change is certainly occurring. That is why it is so very helpful and even critical to be in true community and spiritual partnership. Yet, it is during our most transformative stages that we must gather all of our energy to ourselves. This may appear selfish. And sometimes you, and you alone know your own heart and your motivations. It can be during this time that you are "earning" your wings. For true service is not just do-gooding, not just random activity... not even just only random acts of kindness. Those things should, would, could be ordinary everyday ways of being in Shambala... or heaven on earth. But your true service is the expression of your soul in the physical. and is unique to you... but cannot be activated in isolation. It is what will ultimately balance the masculine and feminine energies in your life! The perfect action of your being, expressing as the soul, the light of the soul shining outward the mind of God and the love of the Goddess This is pure abundance of all things. I am grateful for life. I magnetize good into my life. I am a unique manifestation of the divine. I appreciate the bounty of this planet. I am abundant in friendships and community. I embody abundance by consciously receiving good into my life. I am open to receive, so that I may share my good fortune with others. My wealth is the world's wealth. When I treat myself well, I magnetize the same to me. I open further to my powers of manifestation. It is safe for me to create and expand. It is my birthright to be abundant. I see a prosperous world, filled with people who love life. I create my own destiny. I freely give to others that which I value in life. I allow my desires to be driven by my values. I create my intentions according to my values. I take full responsibility for my own health, wealth and wisdom. I heal myself with love, so that I can more fully love others. I am peaceful, so that I can bring peace to the world. I attune with my higher self. I am open to initiations into the higher dimensions. I see beyond the illusions of lack and receive the light. I work with the ebb and flow of life. I manage my energy in consciousness. My energy and my money are showing me how I work with Spirit. I do energy work to keep my energetic body healthy. I build wealth from the inside out. My true wealth comes from within and flows out of me. I live in grace and gratitude. More and more people are coming to understand that what we can interpret with our physical senses and our conscious intelligence is not the only intelligences and energies at work in the universe. But as we fast lose our death grip on this 3D reality, we need to continue to develop our intuitive abilities and our spiritual senses to better interpret the energies around and within us. This is one of the reasons why it is so important to get very clear emotionally, so that we can interpret our experiences with purity and not through the darkened lens of a fear of the unseen, unknown or unusual. If we do not allow ourselves to learn how to read energy in a non-judgmental way we will find ourselves lost in a world of fear, superstition and misinformation. We do not want to burn the witch within. For certainly within each of us there is a master magician and physician, who will benefit greatly by understanding how to better work with and manage energy. Not additionally, but perhaps more importantly it is important to develop our intuition so that we can connect with our soul and our body. Psychism isn't just for foretelling the future... the depth of second listening and second sight can reveal spiritual messages and clues, and subtle cues from the body that can make all the difference in healing, creativity and empowerment. I go to the next level with my love. I love myself as I love all. I release any blocks to love. I am imagining a woman in love with herself. 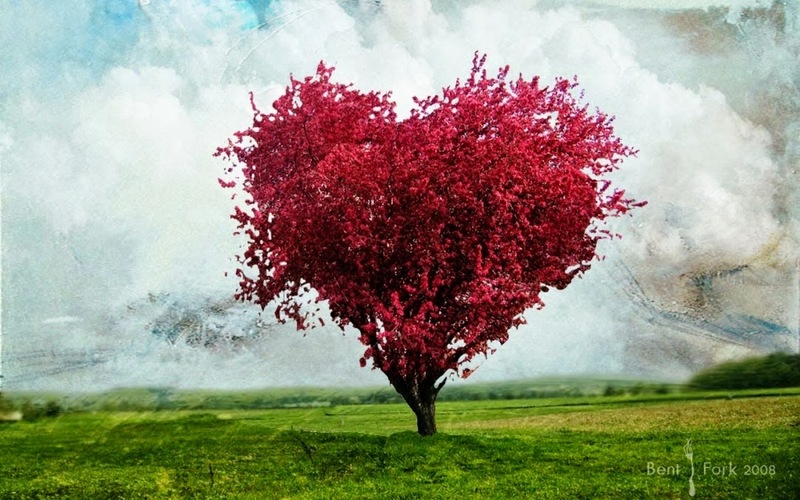 I am aware of my need for love, and I acknowledge that love is as prevalent as air. The Holy Bible was written by mystics. 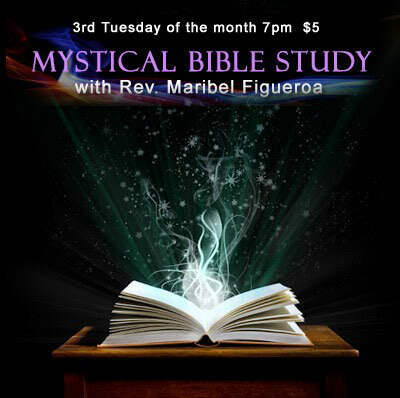 How fitting to Explore and discover the Bible through the eyes of the mystics with Rev. Maribel Figueroa. Come experience new depths of spiritual awareness, insight and understanding, as The Bible comes alive when the mysteries of the scripture is explored from the I AM perspective. 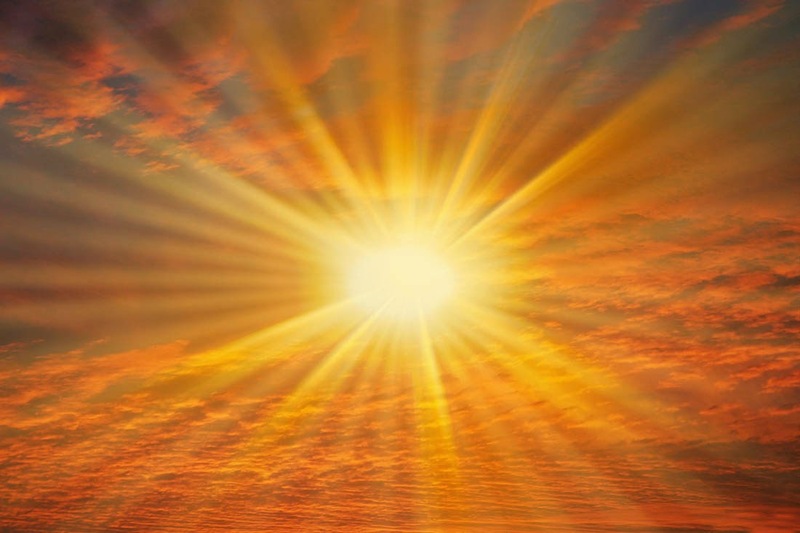 God using Jesus as the example for us to restore wholeness and perfection through conscious choice as we become illuminated and purified in the Light of the Soul. Open to everyone. Please come as you are no matter what your religious preference. Meets 4th Tuesday of each month. I seek to know and accept myself. My perceived shortcomings are also my greatest strength. My reason for being is divine. I open myself to right livelihood. I am a multi-dimensional being and can access ever high realms of consciousness. I break with all illusion about the power of being human. I set my soul free and reveal the grandest version of myself. I take guided action to realize my dreams. I visualize and write down my perfect day, week, month and year. I mentor and help others to realize their dreams. I am a walking inspiration. I perform anonymous and random acts of kindness consistently. I am open to making new friends. I am a teacher, leader and healer of humanity and the earth. I breathe life into my dreams. I recognize the need for rest, relaxation and play. I treat my soul luxuriously. I am kind, loving and generous to myself. I get into the flow of abundant living. I accept all good things into my life and freely give to others the same. I tend my own vibration with consciousness and care. I observe my relationships and surroundings for clues about hidden messages from my subconscious. I allow the wild, creative energy of my soul to come forward. I trust that my body and mind are loving containers for my soul. I give my heart's desires a forum for expression. I invoke the Empress and Emperor within to empower my life with grace. I experience the infusion of my soul into my being. I am free to love the world just by being me. I see the undeviating justice of my life. I am learning how to love. I am transforming all pain in my body and in my life nto love. I reclaim all the lost parts of my soul. I retrieve my soul sparks. I assist others with soul retrieval. As my soul gathers power, I become that which I am destined to be. I take 100% responsibility for my life. I do my part to bring light to the earth and to humanity. I allow myself to change. I allow myself to be supported so that I may Grow. I grow up and into greater levels of love and responsiveness. I have the ability to respond to the pain of others. I have the ability to respond to my own pain. I see good in all. I trust the Great Spirit will give me the experiences I need to release hidden trauma. I am humbled by the fact that I do not know, what I do not know. I ask for ease and grace in my challenges. I ask for graceful closure on chapters of my life that are over. I am free to love. As I am identified with my divinity, I release all lower level attachments. I allow my spiritual vibration to increase. As my vibration increases, addiction and attachments ask for clearing. The clearing of addictions and attachments is the process by which I claim my free will. As I stand and face my fears, the hunted becomes the hunter. I am a benevolent force to be reckoned with in my own right. I ask others to take responsibility for their actions. I say what I need to say with love and non-judgement. I hold sacred space within my heart for the healing of the world. I enter into right relationship with life. As a being of life and God's Love I claim my right to exist. I am beautiful, I am. In the West on the medicine wheel we gain the courage, strength and confidence to enter the unknown element of soul. This place within us is the part of us where the field of pure potential resides. As we sit in this aspect of ourselves on the wheel, it is like a visionquest for every cell of our body. It is a brave call for something beyond our meager imagining to come forth, so that we can continue to change and grow as a human being, and to be in a new, old way. Courage, strength and confidence are the stepping stones to our future selves. It is important to understand this process of growth and to realize the heirarchy of our spiritual evolution. For courage builds strength, and strength builds confidence. Often we forget that confidence must be built, even earned. Just as we might lift weights to build muscular strength, so too, must we exercise our options to build confidence. In other words, the more we courageously venture into the unknown, the stronger we become, the better prepared we are to take risks, the more confident we become. Notice that confidence and comfort are not the same things. In many ways our confidence level is directly related to our perception of our ability to handle the unknown. So if miracles of manifestation lie outside of what is known to us, then how could we consider making this a routine part of our lives, and not just some leap of faith that we take every now and again as we muster the courage, or more likely life and our soul stalk us to move into the void? One of the best ways that I know of to teach ourselves about what we are really made of, to help us continously access the depths of our being, and to access great assistance in the realm of pure possibility is the medicine wheel. When you journey on the wheel, you first build faith in the presence of unseen forces of light through the courageous act of humility. One could say that the very first leap of faith of the fool to venture into the unknown is where courage begins on the wheel. As one becomes a seasoned traveler however, the awareness of the magician within, and a whole cast of characters, magical beings and divine helpers come to the fore, and we are strengthened for the journey by our deep awareness that we are not alone, in many senses of the word. Much like the story of the Wizard of Oz, the hero's journey reveals the deep magic that lies within, and this begins to outpicture in our lives. People, places, situations and scenarios will play out to call into awareness what is within. Then something amazing happens, we start to be able to navigate in the dark, through the signs and symbology of the events of our life. And we are no longer the victim of circumstance, karma or fate. As soon as we get our shaman's eyes, and develop the ability to track our lives, to see the experiences of our lives through higher dimensions, it is as if an invisible light comes on and we can access greater information. It is in that moment that we truly realize that we are creating all of it. Courage, strength and confidence come from within. But the process and experience of life is designed to give us what we need to pull what is within "out" into the world. The reason for this is that above all we are destined to create. Being fruitful and multiplying is not just about procreation of other human beings... it is an all encompassing command to be abundant, to improve your lot, to advance and grow... and ultimately to evolve right through the door of the unknown, the great mystery of our own soul... to become fully human. If we can imagine something into existence one time, it can be done a hundred thousand times. The truth is, that we have already imagined a great many things into existence. The imaginal realm is very real. In meditation and journeywork sometimes people ask, how do I know that I am not imagining it? The answer is that you are! Yet there is a great question that must be asked. Why, out of all the things your could have imagined did you choose that? And "who" was it that chose that? Exploring these questions almost always bears fruit. These are most often treasures pulled up from the deep, clues about your unique individuality and purpose. Sometimes we discover that the soul is tossing us clues through our dreams, imaginings and visions about what is hidden inside of us. It is even possible to tap into the visions and dreams of each other. It is also possible for each of us to have a similar dream, a memory, or a calling that is so strong, that even if we don't realize it, we magnetize ourselves to each other through this common dream. It is then that we truly begin to understand the reality of the realities within the unconscious, and the great hidden powers that are available to us, upon this discovery. This realization is the ultimate courage bringer. For in this we begin to see our purpose and remember who we really are. And we begin to recognize each other, and much like in the Wizard of Oz, there is a homecoming, and a newfound ability to reunify with lost aspect of ourself, and a discovery of strength we didn't know we had. This in turn gives us the confidence to continue to build our dreams, to seek out a vision, to allow our soul group both within and without to come forth and move together as one. This oneness, this reunification is our heart of hearts. It is here, in this space that we can live inside the gap, the tao of our heart, regularly and routinely living in the fifth dimensional holy, whole sacred space of a life lived loving like God/dess loves. I build confidence by actively engaging in my inner and outer life. I explore my inner world through contemplation and reflection. My practice of contemplation involves writings from my soul. I allow my soul to reveal my own depth to me through writing. I contemplate my writing through reflection and divination. Divination is a contemplative art that allows me to speak with my soul. As I become more aware of my soul I am better able to communicate. My soul is a great mysterious being, and I open to that mystery. I offer myself up to the great mystery of my soul. I allow my life to be an expression of my soul. As I express my own soul, I relieve the world of it's soulessness. I am connected to web of souls. My I AM presence alights my soul. I have the courage to be myself. I have the strength to be me. I have the confidence to enter the unknown aspects of my self. As I entertain my soul, I bring joy to the world. I allow my second sight and my spiritual perceptions to increase my faith. As I see more, my faith becomes knowledge. As I experience more of life, my knowledge becomes wisdom. As I experience my life in wisdom, I am filled with understanding. As I am filled with understanding, I am free from judgment. As I am free from judgment, I allow the energy to flow. When energy is flowing, There is room for miracles. I have the courage to hold sacred space and entertain the void of the unknown. I am reborn each time I face a fear. Outside of my comfort zone lie miracles and magic. I work with the medicine wheel to help me navigate through the void. The medicine wheel provides the mysterious platform on which to access the deep magic of life. As I build my life on the platform of the medicine wheel, I lay the groundwork for my ascension. As my consciousness ascends, I have a top down view and a higher perspective. The medicine wheel helps me to maintain a view of all perspectives. The medicine wheel helps me to assemble my dream team both within and without, as I honor all aspects of myself. I travel this life with courage, strength and confidence. Courage, strength and confidence allow me to take even greater risks to open to even greater love. I have the courage to love like God/dess loves. April 13 - Spiritual Partnership - Celebrating 6 Year Anniversary! I allow myself to risk for love by being love. My true community provides a safety net and a support structure so that each of us can flourish and evolve. As I evolve, the love of my people slows me down and helps guide my choices for the highest good of all. The small medicine wheel allows a holistic, synergistic message to emerge through the power of our kindred spirits. The divine I AM presence within me comes forth more easily, as the oversoul of my spiritual community is revealed and strengthened. 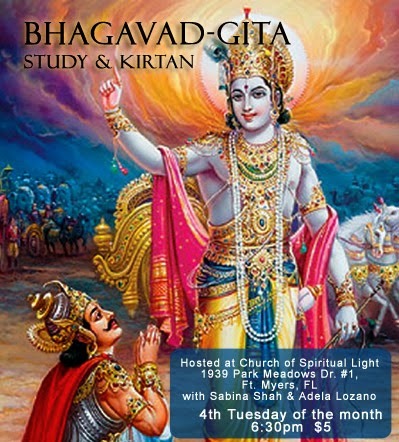 Join us as we celebrate a unique aspect of the Mother God energy each month. 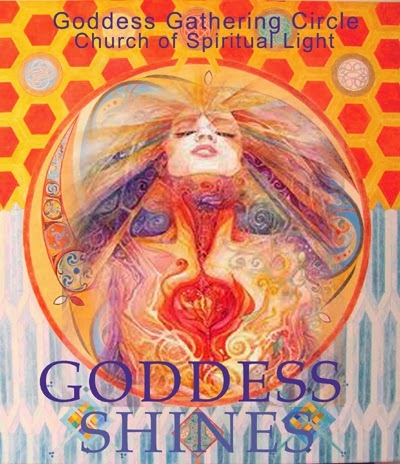 Come celebrate and explore the Divine Feminine within, that aspect of you that receives all the abundance and blessings that are at hand, that part of you that nurtures through complete acceptance of what is, and allows beauty to flow with passion and grace. Inside everyone, both man and woman is the Goddess in all her forms, the loving Mother, the pure Maiden and the wise Matriarch. This group is for women, and any man brave enough to venture in. Meets the 4th Friday of the month. 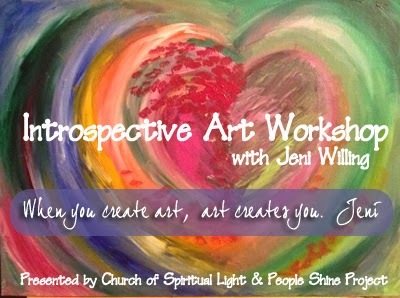 Join us for this powerful new monthly series, Introspective Art Workshop, facilitated by soul artist, Jeni Willing. This workshop is designed to help people utilize art and creativity to express and learn more about themselves, so they can reap the benefits of its healing power, and enhance their creativity in all aspects of life. Not so much concerned with the end result, Jeni is more focused on the process of creating from the heart and soul. This helps us to get in touch with forgotten, lost or unclaimed parts of our own selves. Jeni has created special art projects that anyone can do, to help this process along. Everything is done in a safe and supported environment. All are welcome! Jeni discovered her love and talent for art when she was in elementary school. 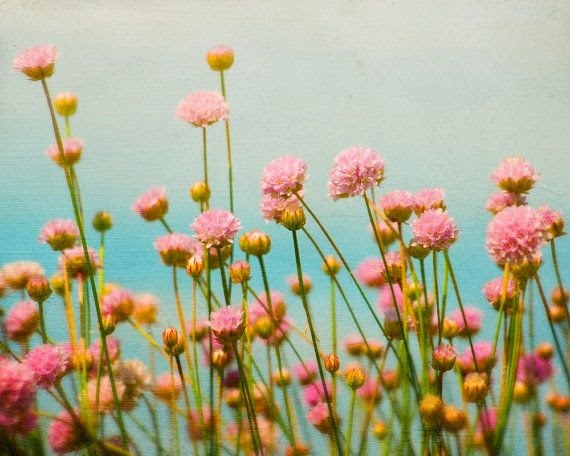 As adolescence and high school approached, she began to deepen her connection to art, as it provided comfort and even an escape from the trials and tribulations of teenage life. She found herself using art as a tool for self expression, and a constructive way to release and deal with emotions. Jeni was motivated by the feelings of her own creative power and began taking more and more art electives in high school. The more she opened and exposed herself to the world of art and the many media options, the more solid her foundation became for her future in art. Jeni had always been a person who loved helping others so in college she majored in Art Therapy and minored in Psychology. This seemed to be the perfect way to combine her passions. She graduated with a Bachelors Degree in Art Therapy, continuing on to graduate school where she earned her Masters Degree in Agency and Community Counseling. While going to graduate school she worked as an Activity Therapist on an inpatient mental health unit while continuing to create through painting, sketching and sculpting. Jeni had her first real healing through art immediately after her grandfather passed away. She was extremely close to her grandfather and was experiencing a tremendous amount of grief and sadness. She wanted to honor him in a way she had never done before and was called to paint his portrait for his funeral. The night before his funeral she began painting. She had painted portraits before but she knew in her heart this one was going to be something far more powerful than she had created in the past. The process was deeply and profoundly beautiful and healing. She typically use acrylic paints and this time was no different. She had a cup of water to use when blending and extending the wetness of the paint, and also for rinsing and cleaning the brushes. Never did she use the cup of water for the purpose of painting, only for the rinsing. As she began painting this angelic image of her grandfather appeared, the tears flowed from her eyes so perfectly that she was able to use her own tears as she would have that water. For the first time in her creative life, Jeni's hands and creative actions were being directed by something far greater than her mere physicality and inherited talent. No amount of art training or education could have prepared her for that spiritual and cathartic experience. She was not the artist, She was merely the instrument for this amazing piece of art work. She stood proudly the next day at her grandfather's funeral with his life essence present in that portrait she had just painted, and everyone who attended knew he was there. Until a year ago, that was the last painting Jeni had completed. The power of the process, clearly warranted a period a recovery, 11 years of recovery. She slowly began to reopen her creative channels. Once she accepted and embraced the reality of her gift, and discovered that it is not only for her but also to share with others, the channels and her true purpose emerged. Jeni wants to show people the healing power that this type of creation can provide. It is her desire to teach people how to utilize art and the creative process to reach those aspects of their soul that need to be healed. She believes that the creation process is the most important part of the art. The process itself evokes emotion, deeper understanding and allows the soul's truth to be spoken without words. By creating art, the soul can be acknowledged seen and heard through a visible and tangible experience. The soul will find a way to be heard. To honor one's soul is to listen to its calling. Jeni's soul stalked her for 11 years before she listened. It is her hope that she may be able to provide a key that will unlock the creative spark in those that desire a new and exciting adventure in healing. 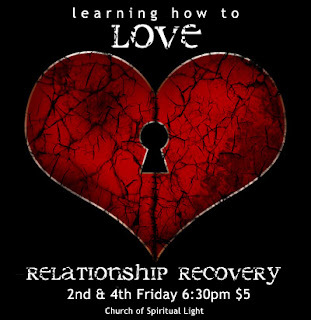 Join us for this twice monthly meeting (2nd and 4th Friday's) as we provide education, inspiration and support in learning how to love in a healthy way. We address codependency patterns, love addiction, relationship addiction, self-care, self-love, boundaries, assertiveness, anger/passive aggression, honesty in relationships, energy and hidden hooks, guilt, shame, family of origin, betrayal bonds, personality disorders, anxiety, manipulation, empathy, intuition, marriage, friendship, partnership, career and work, finances, gender, sexuality, spirituality in recovery, esteem building, mindfulness, meditation, and personal growth. Each meeting we will focus on a specific topic. This group is open to the public and all are welcome. Though this is not a 12 step group, we will employ some of the rules associated such as no cross-talk and sharing limits. This is a positively focused group designed to uplift, educate and inspire. There are many other groups and forums for venting. It is our intention to hold space for people to come out of their old paradigms and into new ways of thinking and discovery about relationship, while coming into the present moment. We encourage thoughtful and intelligent sharing and input that is intended to reveal experience, strength and hope. If knowing thyself is the key to life, one of the most important bits of knowledge may very well be to know what inspires us to create. What moves our souls? Sparks our creativity? Gets the ideas flowing and the heart glowing? Even if we don't exactly know, the next most important question would be... is there a willingness to explore? All too often when on the spiritual path, especially as mystics who thrive on our connection to the mind of God, we sometimes don't focus on the heart of God. We forget about the Goddess. The Spirit, the lightning bolt of inspiration might fuel our visions, fill our senses and portend the ineffable, but in order to truly capture the essence of God in the physical senses we must have a sacred container to be able to connect where it counts... right here on earth! For the mystic there is truly only one logical conclusion to this conversation, as we go deeper and deeper into the divinity, we find that some form of art gives us the outlet that we need to express the inexpressable quality of the divine in the physical. The role of myth and archetype, as well as angels and masters can become a tremendous influence for our creativity. These are fantastic jumping off points into the mystery void of creation, as they contain universal themes and also hold clues about ancient memories. Go with what tickles your fancy. Don't be afraid to allow whimsy and nonsense to tease out some serious art! The wonderful thing about art, contrary to popular opinion, is that you really can't do it wrong. For it is personal expression, and art does not live in time and space. Art is the language of the soul. We are all artists. We may not have fully discovered our art, but that doesn't mean that it isn't in there. And if we have discovered something of it, that does not mean that it won't change or evolve. The artists touch is something to apply to every single aspect of life. Art is not only beautiful, touching and inspiring, it is also deeply healing. In many ways artists are healers, especially if they can get in touch with their own soul through their art. There is nothing like that moment when we see a work of art and feel the recognition of a kindred spirit resonating with us. This is true joy as our own soul is reflected back to us in a way that articulates somestimes something lost in ourselves. We are so grateful when our deepest, innermost soulful notions can find expression. there is a soul satisfaction in this, an understanding of the kindred spirits, that might well be an art form unto itself. The art of Kin. One of our biggest blocks to creativity is what we think about how we feel. All too often I have seen serene, happy people become critical, anxious, and self-effacing during the creative process. Some of that is an over-active inner critic, or triggers from childhood, but much of it is discomfort with long suppressed sexual energy, as the creative process is re-engaged and re-routed into the form of creating art. For sexual energy and creativity go hand in hand, and often the baby has been thrown out with the bathwater. As we have repressed and misunderstood sexuality, as we have been immersed in the world of control, we have metered and rationed the very energy that we need to create with. Working with our artistry is crucial to ultimate healing, and our soul's emergence and evolution. No matter what we are creating, the very act of relaying that creative energy into a new channel sends a powerful message to the psyche. Even the smallest project could have big energy opening impact on other aspects of our life. Allowing the soul this expression pleases the Goddess within, and the muse will smile upon us, as one flash of inspiration gives way to a whole series of lightbulb ideas, and then another, and another, as we continue to give ourselves creative license. As we develop the courage, the strength and the confidence to tap into our imagination and activate our imaginal cells, that part of us that looks like a question mark, we influence the power of our soul to come forth. They mystic within, the part of us that braves the mystery of our own selves is never happier when the fear of going into the void of creation is richly rewarded with synchronicity, divine conversation and inspirational wisdom. It is through this way of being that we can turn our entire lives into a masterpiece, especially if we allow ourselves to keep finding new avenues or going deeper with the artistry of our self-expression. It is through this trust in ourselves as creator gods in the making that we truly can come to know God, and actually find expression for divine love. As we allow the mind and the heart of the higher powers of the universe inspire and guide us, our creativity takes on new meaning even to ourselves, offering brilliant, out of the box solutions to long standing issues and concerns not only in our lives, but in the world, as we tap into the prodigy within. He or She is in there. We have only to keep exploring and allowing that one to emerge into the light of our soul, and fearlessly enter the unknown. As they say, keep on until you surprise yourself. As I go into the depths of my soul, I am inspired and restored. My true creative powers come from the realizations of my God Self. My soul is a Great Mystery to me. I am comfortable with mystery and excited to learn more about who I am. 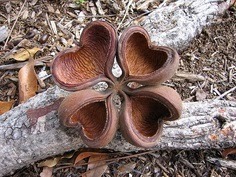 I am curious about the world and enjoy experiencing this creation. I am willing to step out of the box with my creative endeavors. My life become a masterpiece of my divinity. I see beauty in everything. As I look through God's eyes, I witness miracles of creation every moment. I allow myself to be inspired by others and their art. I inspire others with my art. I bring the sacred into the artistry of my life. I create with my hands something beautiful. My hands are the extension of my heart. I address the critic within by making art anyway. I identify where the critic is coming from and send lovingkindness. I listen to suggestions to improve and further develop my art. I collaborate to create art. I look for inspiration in unexpected places. I stock my life with chances to be inspired by other creative people. I soak in the beauty of life. I am moved through my emotions to creative expression. I allow my emotions to heal through my creativity. Art infuses my life with creative solutions on every front. Every day is an opportunity to create something beautiful. I enjoy sharing my art with the world. Art can heal my life by putting me in touch with my soul. Art reveals the mystery of my soul. My art and the art of othes helps me connect and communicate with my own great mystery. I am a creator God in the making. In truth I am creating all the time. I am willing to look at what it truly is that I am creating. Do I create joy and beauty, or do I create suffering? The more I understand my powers of creation, the more I am inspired to be creative. I am willing to become responsible for what I create. I am a creative expression for the divine Will to Good. My life is my art.